If Colo-i-Suva Forest National Park were anywhere else in the world, it would be overrun with visitors. However, this pristine park is located in a remote region of Fiji, and is relatively untouched. Take a trip here and enjoy a private paradise! 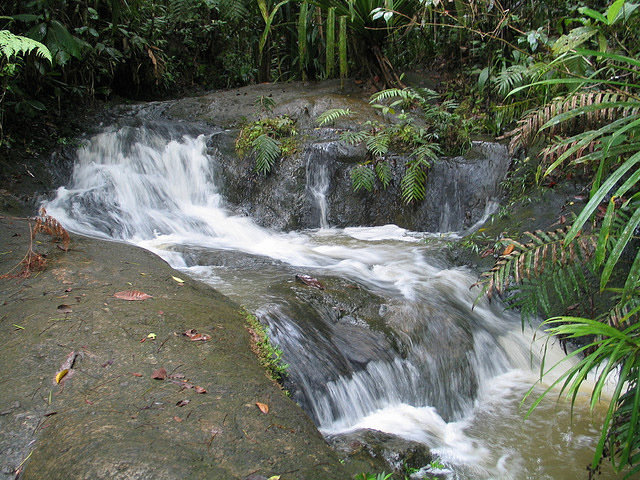 The park is full of mahogany, waterfalls, swimming holes, hiking trails, and lush flora and fauna. Play Tarzan on the rope swings off the waterfalls, lounge by swimming holes, or hike the miles of trails that weave between the dozens of waterfalls. Bird-watchers will be in heaven here, as there are a number of species in the forest that are only found in Fiji. Where is it? Near Suva, Fiji. The closest international airport is Nausori (check prices). Where to Stay? Stay nearby in spartan but convenient accommodation at the Raintree Lodge, which offers dorms for backpackers or private rooms with private bathrooms. What Else Should I Know? You can store valuables at the park’s visitor center, which is recommended as there have been thefts in the area. Who’s it For? Hikers, bikers, environmentalists, nature-lovers, Tarzan of the Apes.